Great tasting pork starts right from the beginning – our farms. We produce fresh, local pork products grown on1,524 family farms. April 23, 2015 (Guelph) -Ontario Pork is pleased to launch new videos that demonstrate the level of care and commitment our pork farmers make each and every day to raise healthy animals. The purpose of these videos is to dispel some of the myths about farming practices, by showing real farmers answering common questions about why they do what they do. Ontario’s pork farmers follow strict on-farm food safety protocols which are combined with an animal care assessment for producers to monitor, manage and document animal husbandry practices. These programs together with the Pig Code of Practice are the provincial pork industry’s commitment to consumers that pork products meet the highest food safety standards. 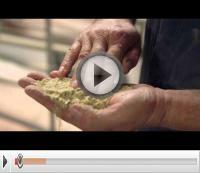 More videos can be found on the Ontario Pork website. 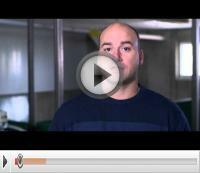 Learn about veterinarian visits to Ontario pork farms. Hormones are not used in Ontario pork production. Curious about what pigs eat? Here's an overview. See how sows are housed on Ontario pork farms. Animal welfare: Ontario pork farmers' top priority. Ontario Pork is a not for profit agricultural commodity association representing the provincial pork farmers. The organization plays a rolein many areas, including research, government representation, environmental issues, consumer education, human nutrition and food quality assurance. Ontario’s pork industry “farm to fork” generated $2.5 billion in economic output and 15,814 in full time equivalent jobs. For more information visit Ontario Pork’s website atwww.ontariopork.on.ca. Copyright © 2015 Ontario Pork, All rights reserved.